Over the weekend, Liverpool registered its 4th consecutive victory for the first time during Jurgen Klopp’s managerial tenure, beating Swansea City 2-1 at the Liberty Stadium in a tightly contested affair. 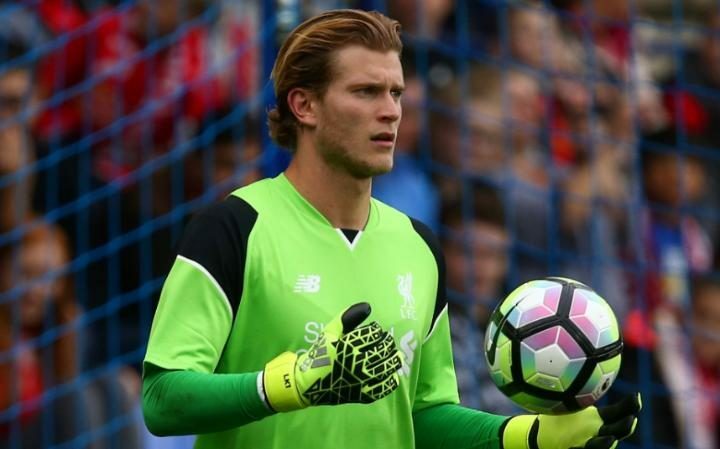 However, one major talking point that came out from the game was the performance of new goalkeeper Loris Karius. The 23 year old German had a very shaky away debut, rife with indecision and hesitancy. As people who follow the showstopper on social media know, Karius cuts a very confident figure, bordering on the line of cockiness. 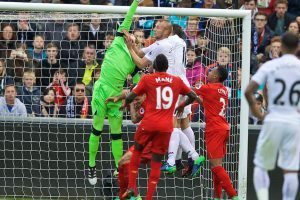 However, not much of that same boldness was seen on Saturday with Karius often stuck in no man's land. There is a lot of skepticism among the Liverpool fanbase with many doubting whether the former Mainz man is an upgrade on the heavily criticised Simon Mignolet. However, it is important to recognise that a keeper like Karius will need time to truly bed in and acclimatise to new teammates and a new backline. What must be realised is that Karius has only played three games for Liverpool Football Club. He is not instantaneously going to have a command of his box, no matter how good or talented he is. Goalkeeping is a position that relies on communication, chemistry and a sense of trust. These are not easy to immediately establish in a few games. Take Petr Cech as an example. Cech is widely regarded as one of the best goalkeepers of all time. He came to Arsenal last season having played 333 games for Chelsea and 124 national caps. However, even with so much experience and quality, Cech struggled during his first few games for Arsenal, making some costly errors that directly led to goals. Even the France captain, Hugo Lloris, needed two months to settle in before taking over from Brad Friedel. It is worth remembering that Karius also had his preseason cut short due to injury and even in the games he did play, his teammates and opposition were of a vastly different standard to the ones he has now. While many attribute goalkeeping to the number of saves one makes, a very important and crucial part of goalkeeping is the ability to have command over the box and communicate clearly with your teammates. This is one position where Simon Mignolet has had a lot of issues, which eventually led to Karius taking over from him. Even after three seasons, Mignolet could not establish himself like Gianluigi Buffon or Manuel Neuer do. Karius has all the tools be able to succeed in this department as he does not seem to lack in confidence. At Mainz, Karius had the trust of his defenders, with him often coming out to claim crosses. Even though he did not do this against Swansea, his past performance shows he has the potential and certainly, the ability to do it. Additionally, what needs to be acknowledged is that Karius, like Jurgen Klopp, is the not the Messiah who will solve all of Liverpool’s problems on his own. He is a young, promising goalkeeper in the Manuel Neuer mould, with “mould” requiring special emphasis. As seen on Saturday, he has rough edges to his game that will need to be fine tuned. We, as fans, need to afford Karius that breathing space to be able to do this. 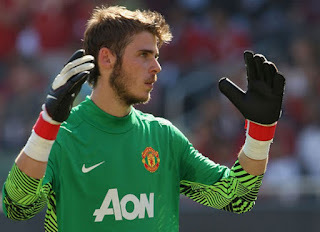 One comparison that comes in mind here is that of Manchester United goalkeeper David De Gea. 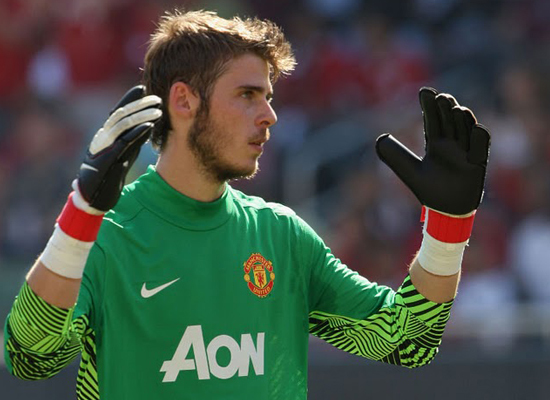 De Gea, like Karius, came to England with a lot of hype on his young shoulders and struggled initially. Physically weak, susceptible at crosses and indecisive, De Gea was harshly and vociferously criticised during his first season with many United fans calling for a “proven” replacement. 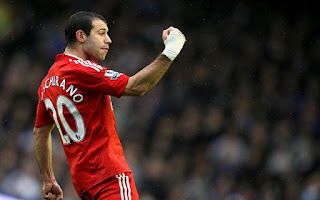 However, Sir Alex Ferguson stood by him and it is clear for all to see where the Spaniard is now. Like Ferguson, Liverpool have the right man in Jurgen Klopp to allow Karius to develop in the right way. If there is one thing Klopp knows, it is the Bundesliga with his knowledge of the league unparalleled. Out of the plethora of quality ‘keepers in the Bundesliga, Klopp chose Karius for a reason. We, as fans, cannot be so short-termist in our thinking. Karius cannot go from Oliver Kahn to Massimo Taibi in just one game. There has to be a middle ground somewhere and if we are prepared to give Klopp and Karius time, I am sure he will prove all of the doubters wrong. This has been said so many times that it borders on cliche but we have changed our doubt into belief for Klopp and we have to believe that we can do the same for Karius. 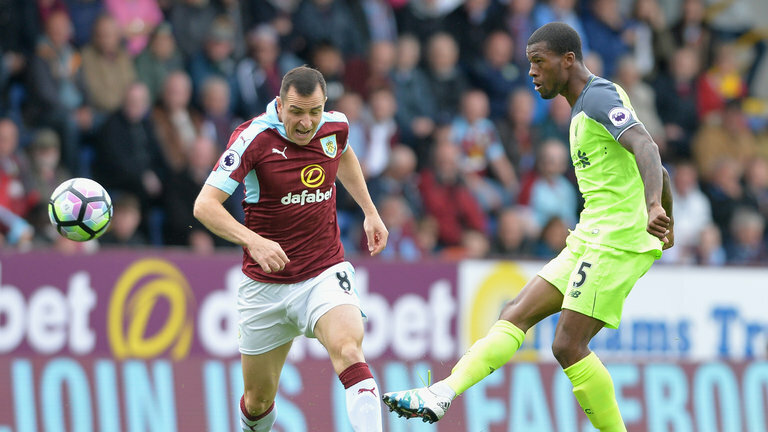 Is Klopp getting it wrong with the Wijnaldum experiment? 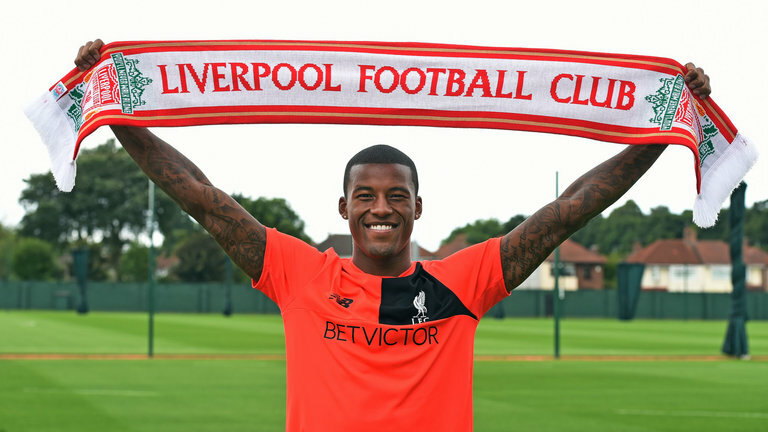 When Liverpool signed Georginio Wijnaldum this summer from Newcastle United, I was quite excited. Last season, and for many previous seasons in truth, Liverpool really lacked a cutting edge in midfield. With Wijnaldum, I felt that manager Jurgen Klopp was addressing this problem as the Dutch international has the ability to provide that attacking impetus and, more importantly, end product. At a first glance, I thought that Wijnaldum was being bought as an upgrade over the profligate Adam Lallana. Indeed, the stats seemed to back my supposition, with the Dutch international having scored 25 goals in his past two seasons. In addition to this, the former Newcastle and PSV man registered 8 assists and created 89 chances during the same timeframe. Wijnaldum even supported this himself in an interview where he said that “I can make goals and create chances”. However, fast forward to the start of the current season and Wijnaldum has been deployed in an unusual holding position within the Reds midfield, alongside captain Jordan Henderson. As a result, his attacking prowess has been rendered ineffective, with the former PSV captain struggling to make an impact on proceedings. The fact is that Wijnaldum is a player who thrives on bombing forward in an attacking midfield role and is not adept to the defensive side of things. While he can “do a job” over there to help the team out, the bottom line is that he is the proverbial square peg in round hole. This was very visible during the 2-0 loss against Burnley, where the Clarets were able to launch attacks and get through the midfield as if it wasn't even there with just 2-3 rudimentary passes. While the defence is always harshly criticized, a major reason for why Liverpool leak so many goals is that the midfield does not provide enough protection. If a defence is exposed on such a regular basis, it is often bound to concede chances and inevitably goals. Wijnaldum’s lack of defensive nous is one of the reasons for this during recent games. If we look at other top teams, they have adept defensive midfielders who do a great job of breaking up play before attacks can develop. Chelsea have Ngolo Kante and Nemanja Matic, Arsenal have Granit Xhaka whereas Pep Guardiola has Fernandinho at his disposal. Who do Liverpool have to do this for them? As a result, bigger picture over here is how much Liverpool miss the presence of a dedicated defensive midfielder. It has been said so much that it borders on the cliche but Liverpool, even after all these years, have never found the replacement for Javier Mascherano. Coincidentally, it was when Mascherano was at the helm and Liverpool had the “best midfield in the world” that the Reds actually had a dependable backline. Rather than focusing on something that does not work in Wijnaldum, Klopp has to deploy someone that has that defensive nous and knack of breaking up play. While Emre Can is promising, he is still not a dedicated defensive midfielder and is more adept at the box to box role. The only specialist holding midfielders Liverpool have at the helm are the declining Lucas and the inexperienced Kevin Stewart. But even then, they provide more of a solution then Wijnaldum does. Klopp has spoken a lot on player versatility and how they do not have specific “positions”, he needs to understand that Wijnaldum is not the answer, similar to how Daniel Sturridge on the wings is not the answer. If Klopp really wants to get the best out of Wijnaldum, play him where he is best at in attacking midfield or don't play him at all. He can be a major goalscoring asset if deployed right. But, trying to shoehorn him into the team in any way possible just because he is a big money signing is never going to work. If Klopp does that, he may be jeopardising the overall well being of the team. Can 'Can' Do it - What makes the Germany U-21 International so Promising?